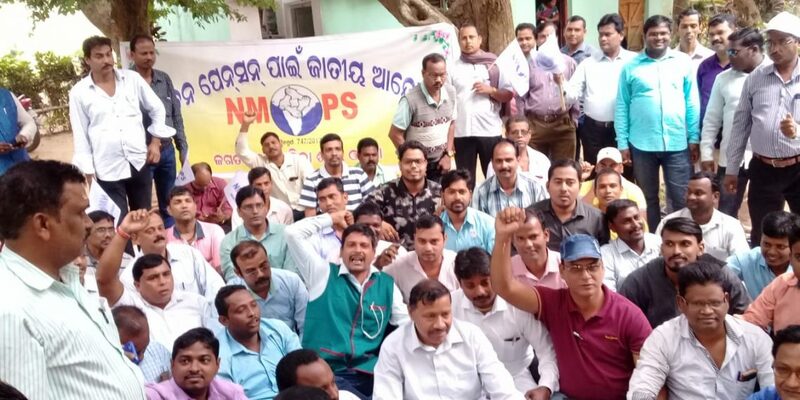 Kujang: Members of the new pensioners association in Jagatsinghpur district demanding implementation of the old pension system submitted a memorandum to Lok Sabha MP Kulamani Samal addressed to the Centre, a report said Wednesday. The pensioners before submitting a memorandum took out three motorcycle rallies from Subarna Barahai temple in Jagatsinghpur, Raghunathpur and Tirtol and staged a dharna outside the residence of Samal in Kujang. Samal met the agitating pensioners and inquired about their problems. Samal received the memorandum from them. They relented after the MP assured to discuss the matter with other MPs and raise the issue in parliament. The agitating pensioners led by their district president Amarkant Panda, secretary Tapan Kumar Nayak and treasurer Upendra Pal claimed that the Centre introduced a new pension system by abolishing the old pension system in 2004. The state government implemented it in 2005 which led to inclusion of over 55 lakh employees in the new schemes. However, what has disappointed them is that the money share deducted from their salary is being invested in the share market. This has let down both the employees and the government as there is no security for the employees after their retirement. They warned that they would stage a massive demonstration at Ramleela Maidan in New Delhi over their demand Novembers 26.